DJI’s little drone wasn’t its only big news from today’s Mavic Pro unveil event in New York City. The company also devoted a few moments of stage time to its new simply titled video wearable, Goggles. 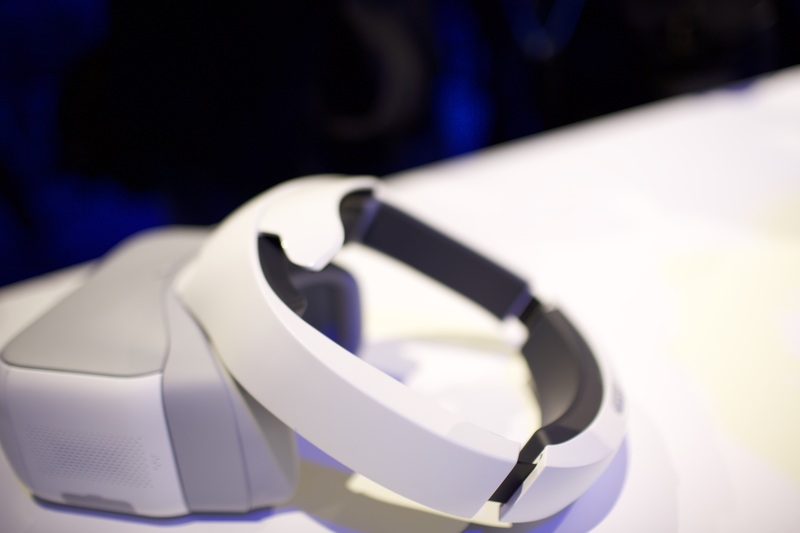 The on-the-nose name offers up the basics of what you need to know about the new product, an all-white headset reminiscent of a VR peripheral designed to offer up first-person views shot by the company’s newly announced foldable quadcopter. The wearable utilizes the company’s new proprietary OcuSync technology to deliver live 85-degree video from the drone’s on-board camera to both of the headset’s two 1080p displays. Also of note is the fact that two individual headsets can be synced to a single drone, so both wearers can see what the drone captures in real-time. As far as pricing and availability, well, that’s still, you know, up on the air. 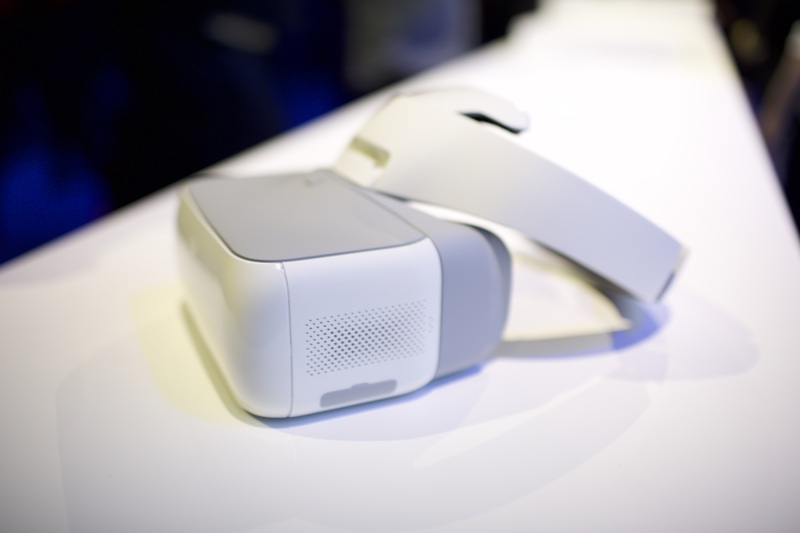 But given the fact that the Mavic is scheduled to land in the middle of next month, hopefully the DJI Goggles will be hitting soon thereafter. And who knows, maybe even a bundle — though the company’s current bundle offerings already top out at $1,299. Other future accessories include a charging hub, shoulder bag and a car charger.